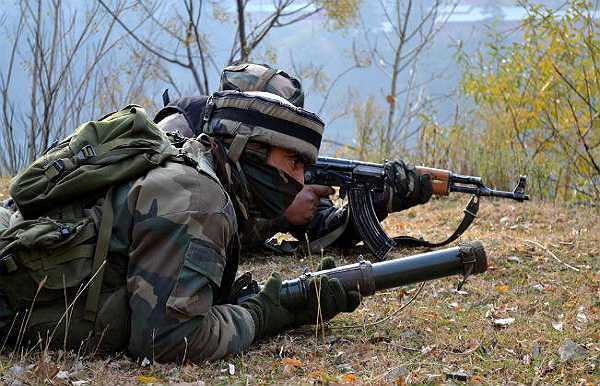 Srinagar: Six heavily-armed militants, believed to be foreigners, were killed as alert troops foiled a major infiltration bid from Pakistan-occupied Kashmir (PoK) in Keran sector in the frontier district of Kupwara in north Kashmir, a defence ministry spokesman said. Troops guarding the Line of Control (LoC) in Keran sector noticed a group of militants sneaking into this side from PoK in Keran sector in the wee hours under the cover of darkness, Col Rajesh Kalia told UNI. Col Kalia said in the initial gun battle three militants were killed. Later, one more militant, who was trying to flee, was gunned down at a distance in the woods. Army sources said troops later killed two more militant in the area, taking the total number of infiltrators killed so far to six. Meanwhile, a massive search operation was going on when the reports last came in. This was the fourth infiltration attempt by militants from PoK during the past few weeks. About 10 militants were killed after the sneaked into this side in north Kashmir during the past few weeks. However, a soldier was martyred and another was injured in one of the encounter.